My daughter and I have been busy renovating our lovely dolls house, as she wanted a contemporary and modern house, rather than the previous Victorian style. However, it’s harder to find modern beds or shelving units to buy. So she found some images of a minimalist bed and shelving unit and I turned them into these designs. As the style is minimalist, this made it easier to do (I did try a more complicated design for the bed frame but the angles were too tricky and I gave up!). I’m not a carpenter (and please don’t look too closely at the storage unit because it’s a bit wonky!). Even being a few millimetres out makes a big difference when you’re working in miniature! Follow the instructions below to make your own dolls house bed and storage unit. 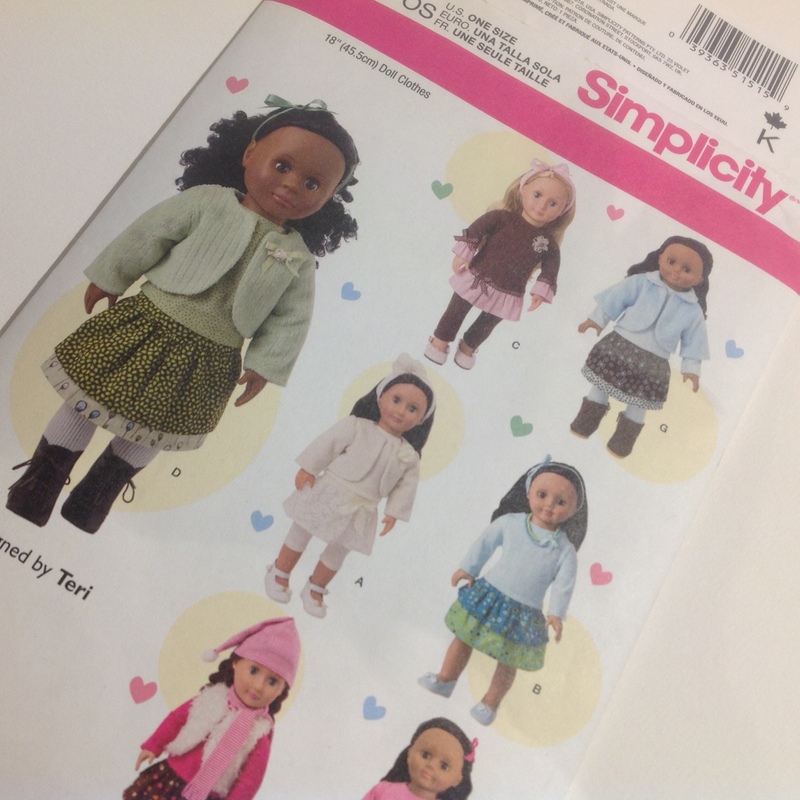 This dress will fit a mini American Girl doll or Our Generation doll (around 6″). I made a small Waldolf doll (about 8″ high) which it also fits. The fabric in the pictures is a gorgeous Liberty fabric from one of my lovely local shops, Clothkits. I first came across ‘Waldorf’ style dolls browsing Pinterest. 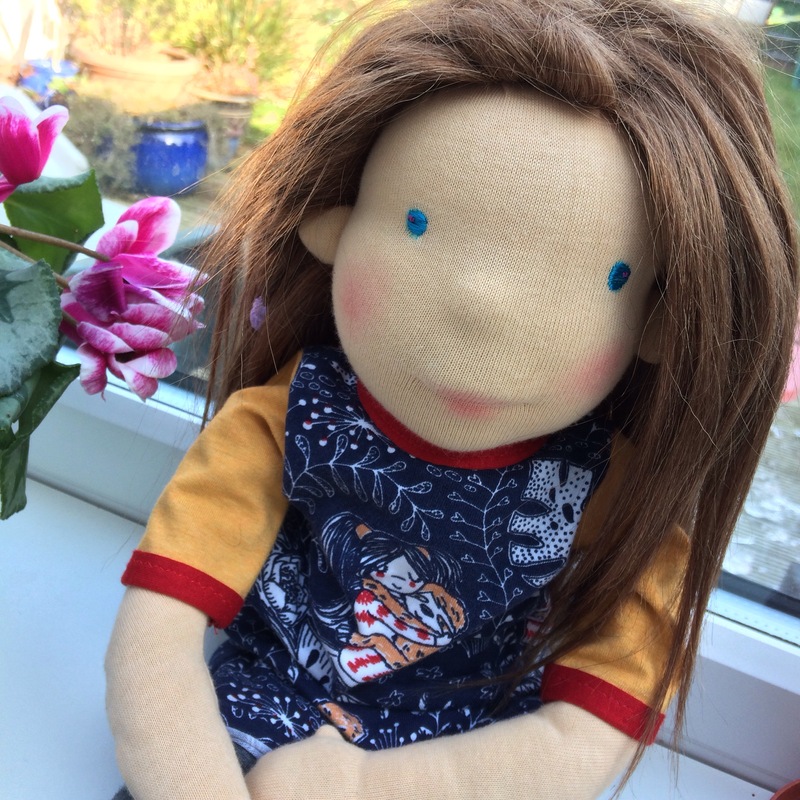 My daughter (and me, secretly) both fell in love with a gorgeous Waldorf doll last year made by Kathe Kruse and being given away in a competition by the UK doll shop Petalina. We didn’t win and without thinking I uttered the words ‘I’m sure I could make one…’ (I wasn’t sure – but that’s never stopped me trying!). So my New Year challenge has been to make a Waldorf doll for my daughter and if anyone else is thinking of doing the same I thought I’d share my doll making journey. This is Lucky’s story. I love making dolls for my daughter because you can give each one their own personality and style. They also make great presents as they are special and unique. 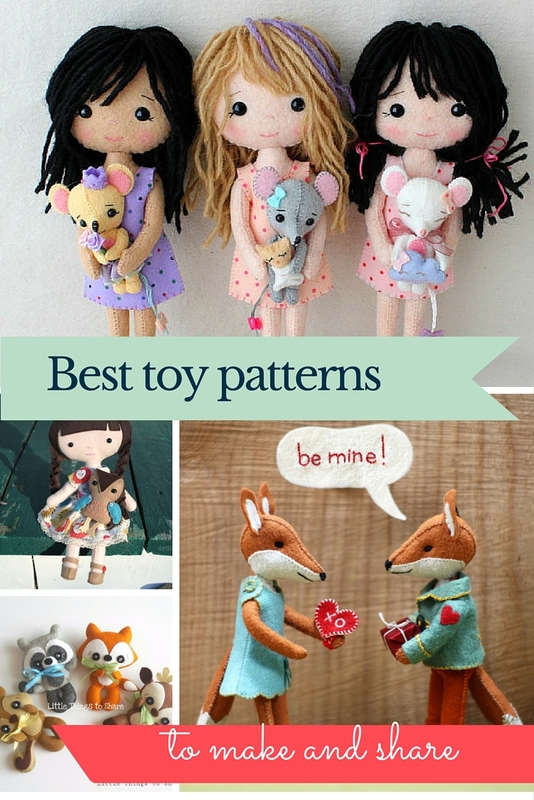 I’ve selected some of my favourite doll and toy patterns – it was meant to be a post just about dolls, but then I saw ‘Felix and Charlotte Fox’ and had to add some animals in! They can all be found on Etsy. Simplicity pattern 1515 has become my favourite ‘go to’ pattern for leggings, tops and skirts. You can but it on-line in the UK at Jaycotts. It’s a good basic and simple pattern that you can adapt easily. We have a new arrival in the house; her name is Sienna. My daughter didn’t want to wait for her Christmas present (Grace – American Girl doll) so she decided to take matters into her own hands and spend her savings on an Our Generation doll. 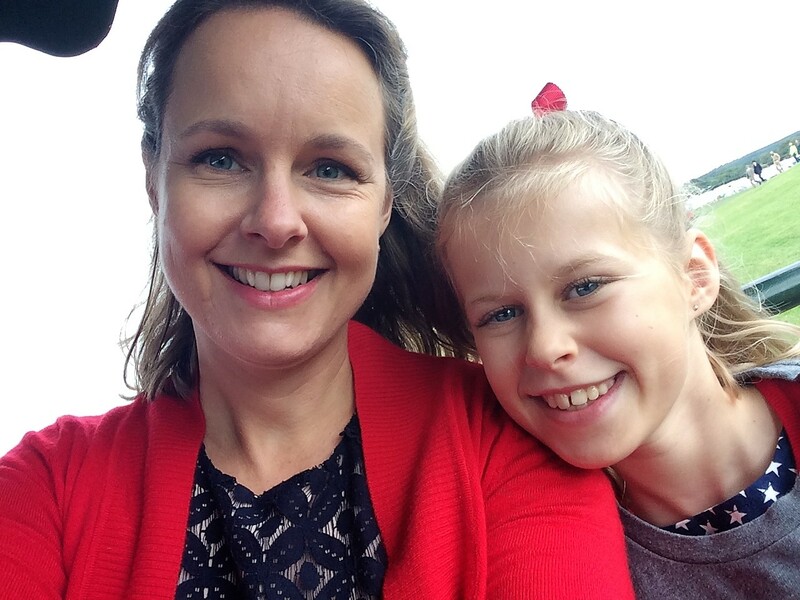 They have recently started stocking them in our local toy shop (Kids Stuff Toys, Chichester) and she has had her eye on ‘Sienna’ since she first appeared on the shelves. I would like to be able to compare her to the American Girl dolls, but that will have to wait until after Christmas. My daughter is very happy with her! 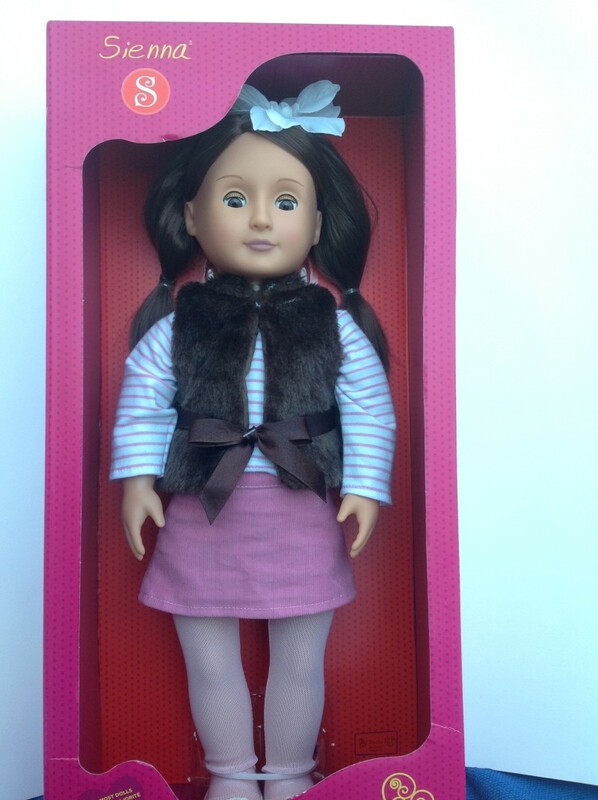 She comes with a pink corduroy skirt, faux fur gilet, stripy long-sleeved top, pink tights and white shoes. She’s similar in size to the American Girl dolls but cheaper at around £30.